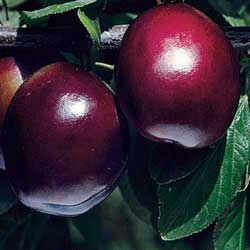 Plum Crazy Orchard & Nursery, Inc. 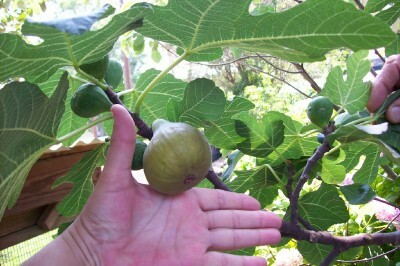 The fig is a native of Asia Minor and was imported into the United States in the 16th century. Figs vary widely in size, shape, color, season of ripening and other characteristics. It is important to select and plant varieties that will give the most consistent performance in your location. Frequent rainfall and high humidity cause the fruit to split and sour. Selecting the proper variety will reduce the chance of winter injury, but all verieties are susceptible to such damage and a number of factors influence a tree's susceptibility to winter injury. These include age of tree, cultural practices, and stage of growth when exposed to adverse weather, rapidity of weather change, severity and duration of cold and natural protection. Varieties with closed eyes have fewer problems with fruit souring. 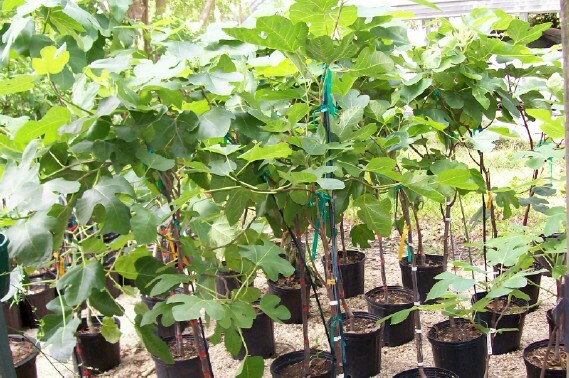 Figs have the potential to produce an early crop on last year's wood, a main crop on current season wood and a third crop in the fall. 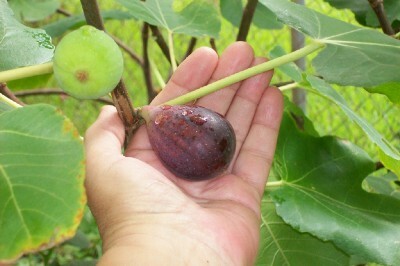 Purplish-brown, greenish-yellow, and deep burgundy are all the colors that are characteristic of fresh figs. The fruit is tasty and can be eaten fresh. Freshly ripened figs can be easily turned into tasty preserves, jams or used in baking.